MRI is considered the gold standard in soft tissue diagnostic of the lumbar spine. Number of protocols and modalities are used – from one hand 2D sagittal, 2D angulated axial, 2D consecutive axial and 3D image types; from the other hand different sequences and contrasts are used: T1w, T2w; fat suppression, water suppression etc. Images of different modalities are not always aligned. Resolutions and field of view also vary. SNR is also different for different MRI equipment. 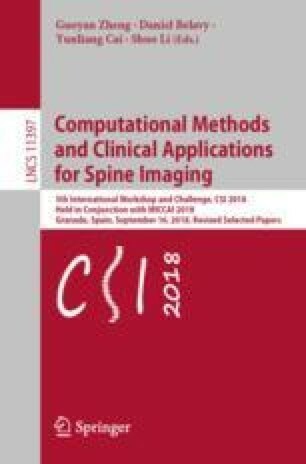 So the goal should be to create an algorithm that covers great variety of imaging techniques.